This one hour walking tour of the French Quarter, New Orleans, is led by a licensed tour guide. Architecture, history, museums, stories, and restaurant recommendations are covered as you stroll through one of the most eccentric neighborhoods in the United States! Your tour meets 15 minutes prior to tour time, for check-in, departing at 3:00 pm from 710 St. Louis St., across from Antoine's Restaurant, between Royal & Bourbon Sts. Your licensed tour guide will whisk you away to an insightful, historical journey of the French Quarter and its eccentricity! 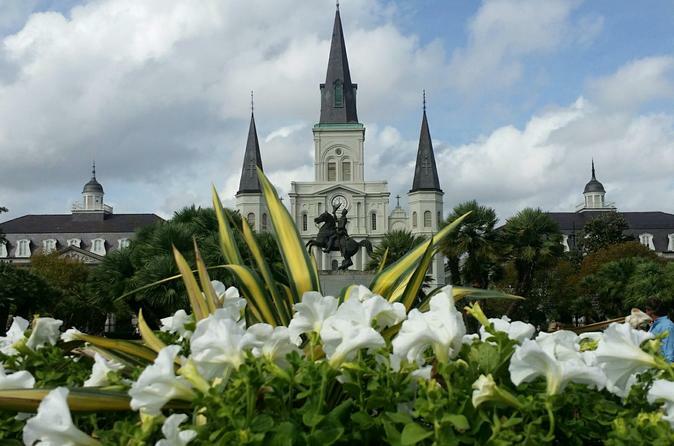 You will be amazed, gazing at the beautiful architecture of our colorful buildings and the sometimes mind boggling history, including The Louisiana Purchase, St. Louis Cathedral, Jackson Square and many other locations, each with their own story! The route is not set in stone, as our guides each have their own special presentation, helping you stroll through our amazing city, seeing through their eyes! Please do not hesitate to ask questions! We love to delve deeper into our history!